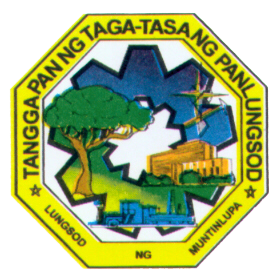 We envision the City Assessor’s Office of Muntinlupa to be a model office of friendly and dedicated public servants, which maintains the highest degree of professionalism and deep commitment to service, in pursuance of its goal of generating more income for the city through increased real property assessments, while providing honest, prompt and courteous service to the people of Muntinlupa. To discover, list, appraise and properly assess all real properties situated within the jurisdiction of Muntinlupa in accordance with existing assessment rules and regulations in order to generate more income for the city. To provide the taxpayers and the citizens of Muntinlupa in general, with friendly, prompt, efficient and courteous public service at all times. To maintain a systematic and effective accounting and inventory of all real property units within Muntinlupa through graphic and electronic methods. To provide the employees of the Assessor’s Office with incentives, proper training and opportunity to improve their capabilities, both mentally and physically so as to enhance their job performance efficiency. To provide the public in general with relevant information and accurate data as to the ownership, class, position and condition of real property units within the locality. To provide the taxpayers and the citizens of Muntinlupa with friendly, prompt, efficient and courteous public service at all times. To provide the employees of the Assessor’s Office with incentives, proper training and opportunity to improve their capabilities, both mentally and physically so as to enhance their job performance and competence. 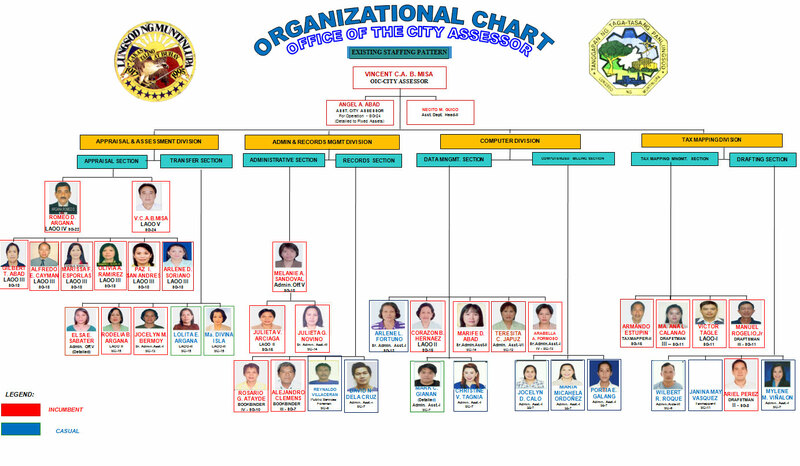 The Office of the City Assessor is a line department of the Executive Branch of the City Government of Muntinlupa, specifically tasked with the responsibility of generating more income for the city. 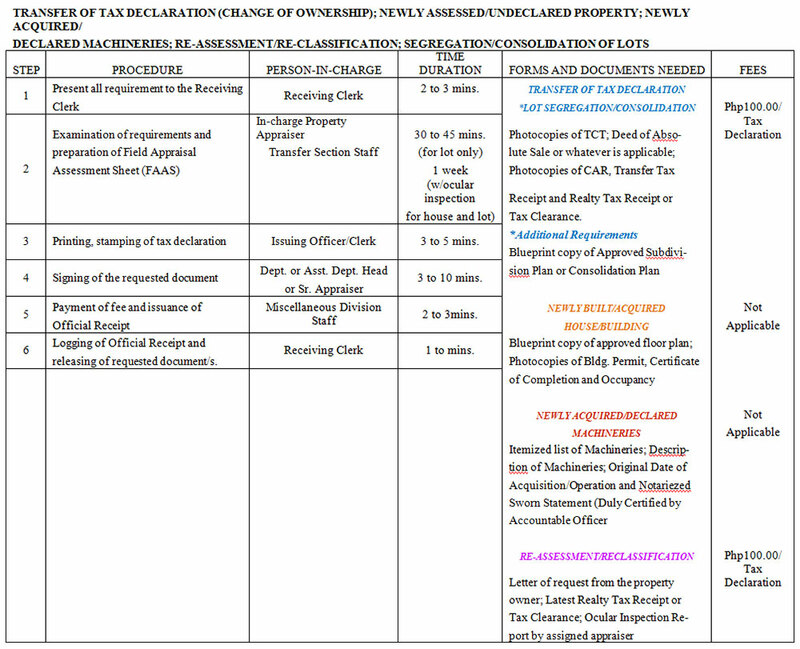 Likewise its key functions include among others, computerization of real property assessment records and real estate payment; tax mapping and real property accounting and inventory; transfer of tax declaration and issuance of various certifications.